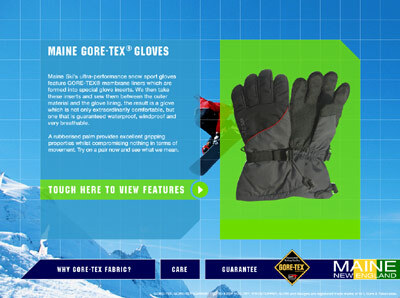 Flash animated touchscreen interface for Gore-Tex clothing. 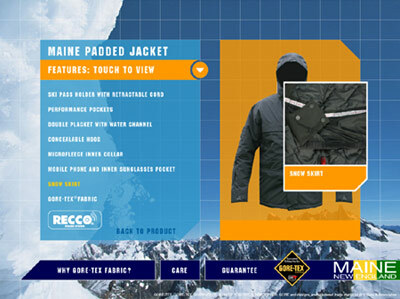 Customers interact with the screen to discover product features and associated clothing range. 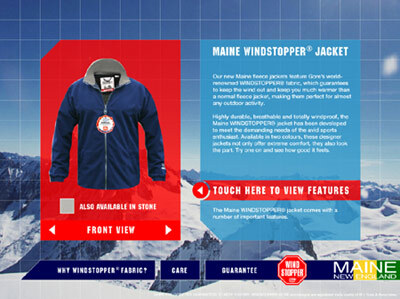 A promotional video was also designed and edited for this project.